October 6, 2013. Posted in Kolkata. Here’s a haiku for the season. 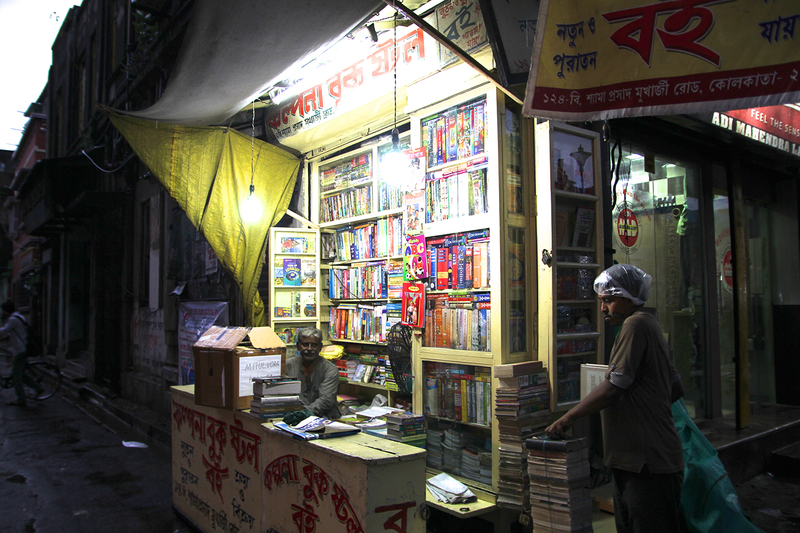 Walking through the city of Rabindranath Tagore, it’s hard not to feel poetically inspired. But when you’re walking in a torrential downpour, it’s hard to feel any other way than wet. 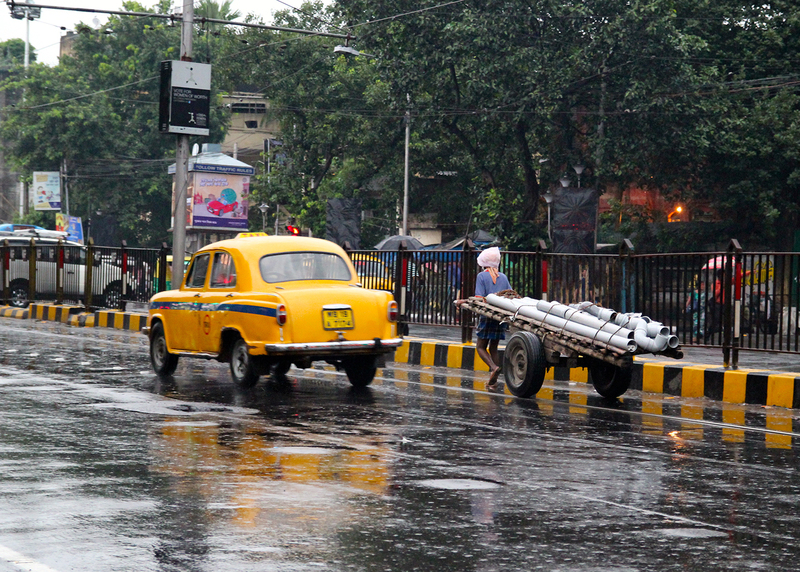 The heaviest monsoon rains are supposed to pass Kolkata by the end of September. 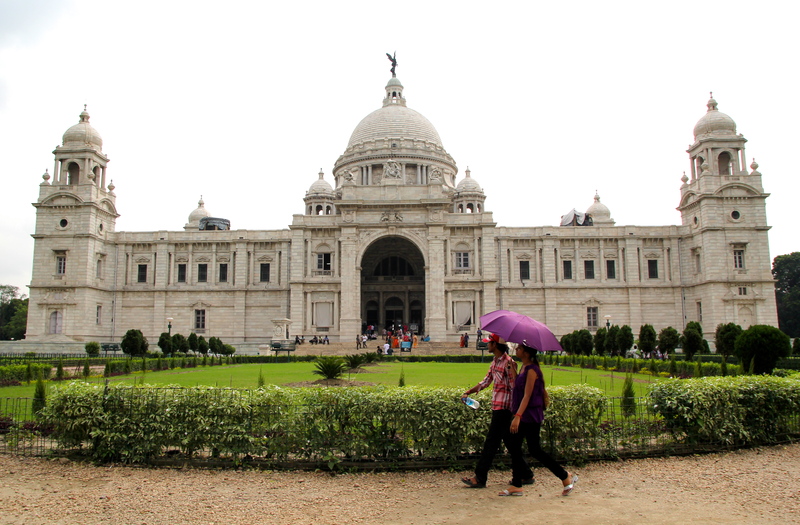 But due to low pressure hovering over the Bay of Bengal, the City of Joy has been hammered by thunderstorms threatening to dampen Durga Puja festivities. We made two rookie mistakes resulting in the complete soaking of our clothes and belongings. First, we failed to realize that Calcuttans are quite sympathetic to the fact that it no one really gets anywhere in the rain. Ignorant and rushing make an appointment on time, we descended the steps of the Victoria Memorial, where we had spent the afternoon, into the deluge. Second, we did not bring an umbrella. Sometimes you feel a sense of calm caught in the rain. You’re soaked, but so is everyone and there’s nothing you can do about it, so you look up, enjoy the shower and smile. But today we were missing that peaceful resignation. We were wet, surprisingly cold, and tired. It’s times like these chai wallahs were made for. 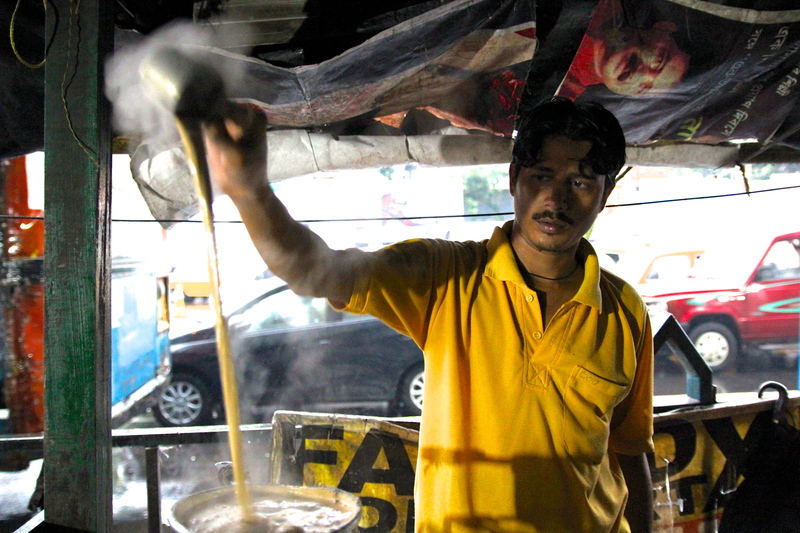 And it’s times like these you appreciate how you can hardly go half a block in Kolkata without running into a chai wallah. 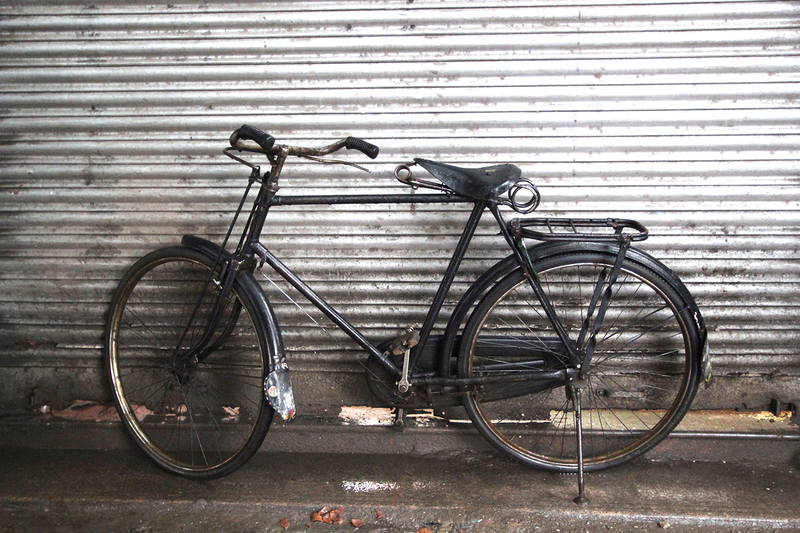 We scurried from the cover of the Kalighat Metro station looking for the first chai wallah in sight where we could retreat, like mice scampering across a kitchen floor blindly searching for a hole in the wall. 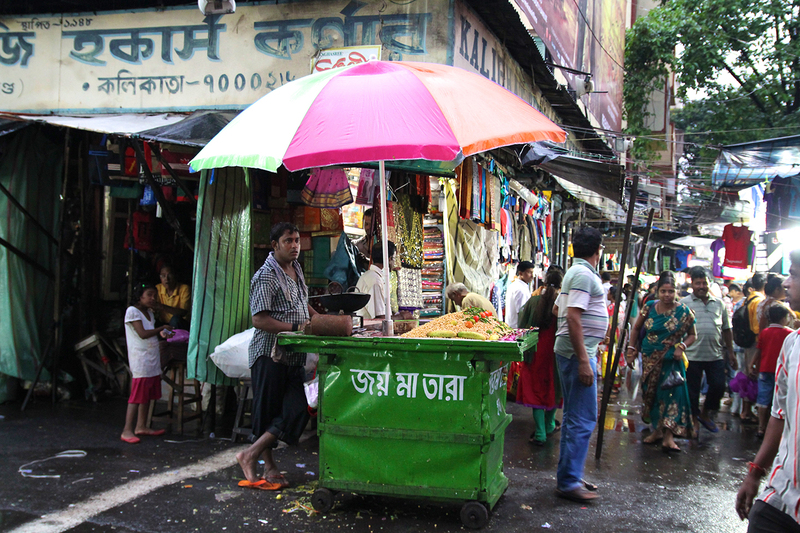 We didn’t have to go far – about 20 steps – to reach Shibu’s tea stall where we huddled under tarps promoting political candidates and advertising “Spoken English” tutoring. 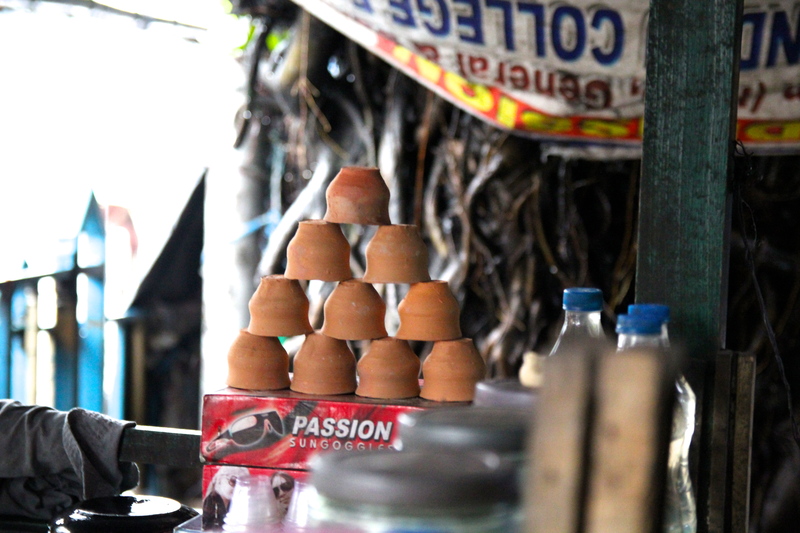 Shibu promptly poured us strong milk tea into a two-inch tall clay cup. 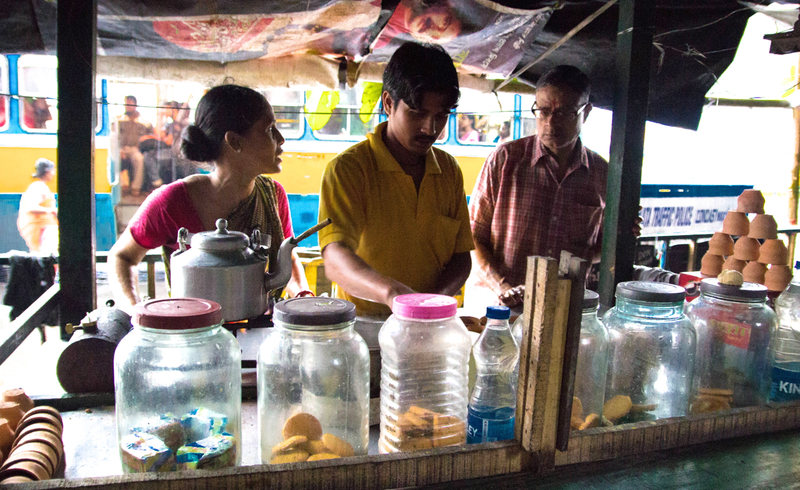 The cup – kulhar in Hindi, bhandh in Bengali – lent an earthy taste to the tea, an extra something plastic can never match. As the storm grew stronger, we packed in tighter under the tarp with other customers taking refuge. Prasul, waiting out the rain before boarding a bus to his home in Darjeeling told us he took his tea with “liquor only.” He encouraged us to try some. We were indeed in need of a stiff drink but surely he couldn’t mean alcoholic tea. We ordered one, unsure what we were getting ourselves into. “Liquor only” in fact meant something much more innocent – simply the “liquor” of black tea. The bitter drink provided a welcome respite from the rich milkiness and sugary sweetness of masala chai. While we sipped, we admired how Shibu and his wife Purnima worked together, one seamlessly taking up the other’s task where he or she had left off. With 20 years of running this business together under their belt, they knew each other’s rhythms. 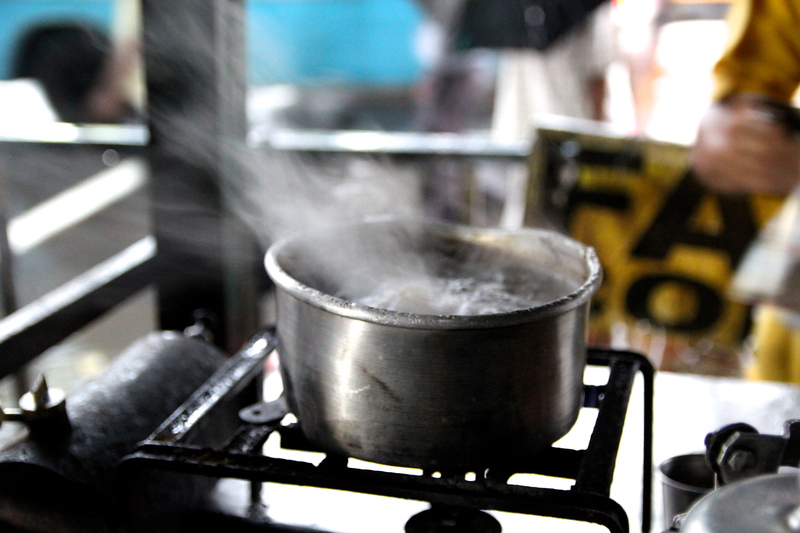 When Shibu left a pot of boiling tea to fill another vessel with water, Purnima stepped in and stirred the pot before it could boil over. “Husband and wife make a good team,” Shibu smiled. 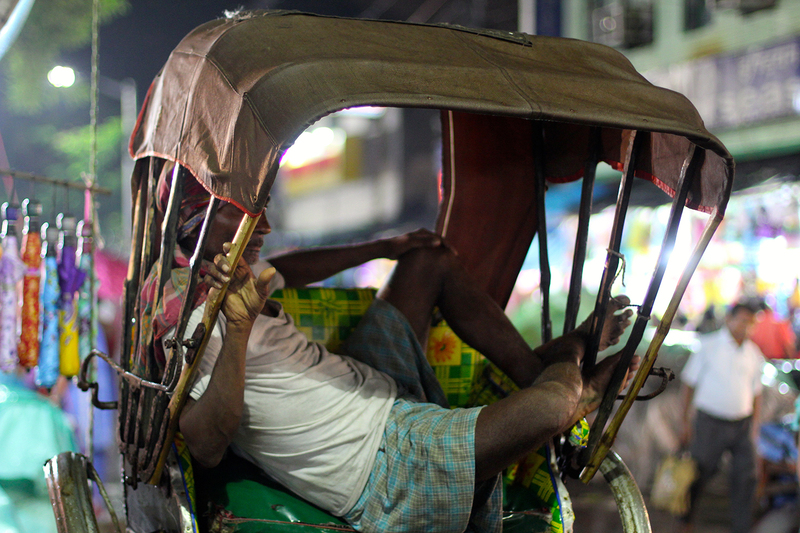 Their son Devashish helps out in the evenings after finishing his sales job at Park Avenue Cosmetics. 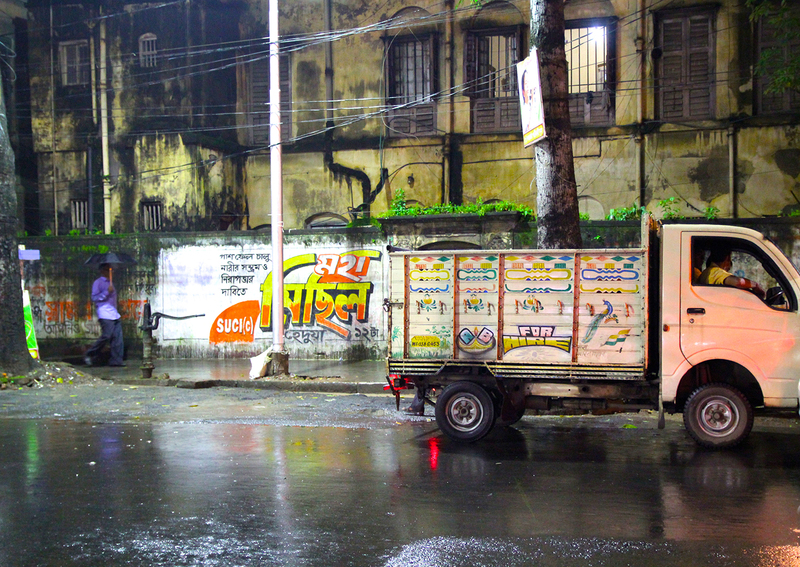 The rain kept coming down as we watched cars and buses lurch through the soaked streets. A few unfortunate souls without umbrellas waded through knee-deep pools of water, but foot traffic was sparse. 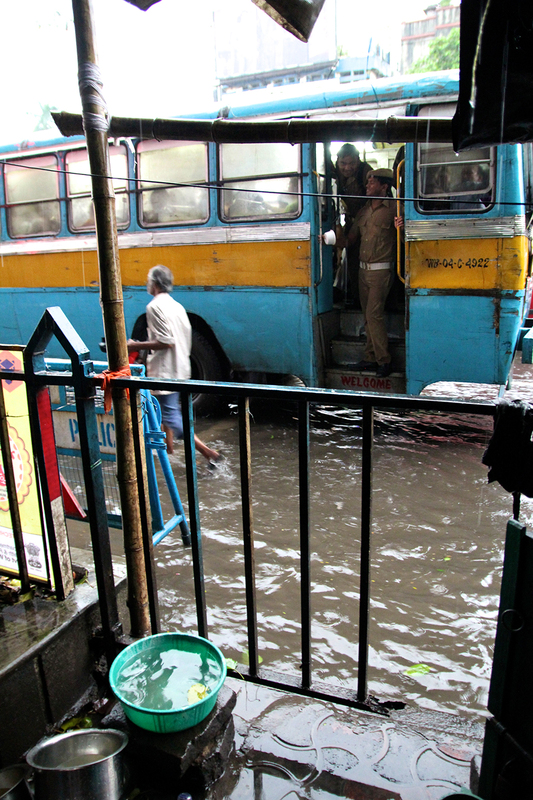 “This rain is very bad for business,” Shibu said. “It’s Puja time so everyone should be out shopping. 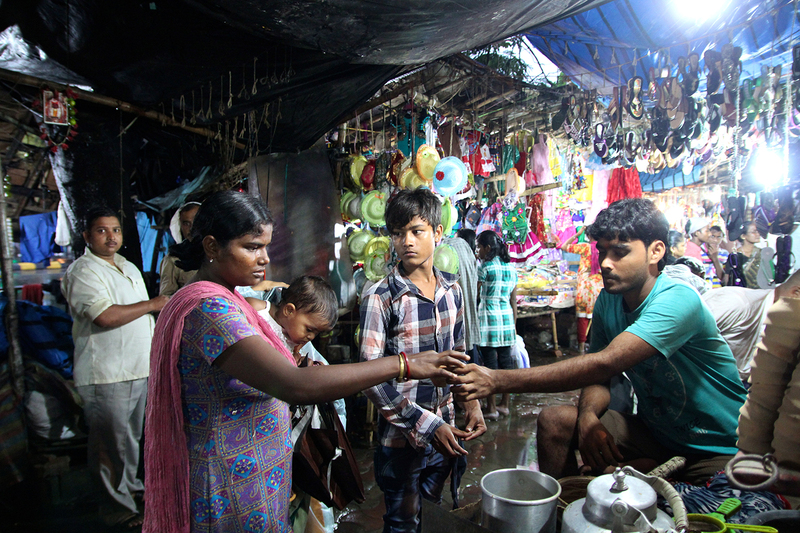 This is always the busiest time of year for all businesses in Kalighat.” But in the hour we stood at the tea stall only four customers came by. “We are sad it is raining, but we are happy at least you have come.” We had been sad too. 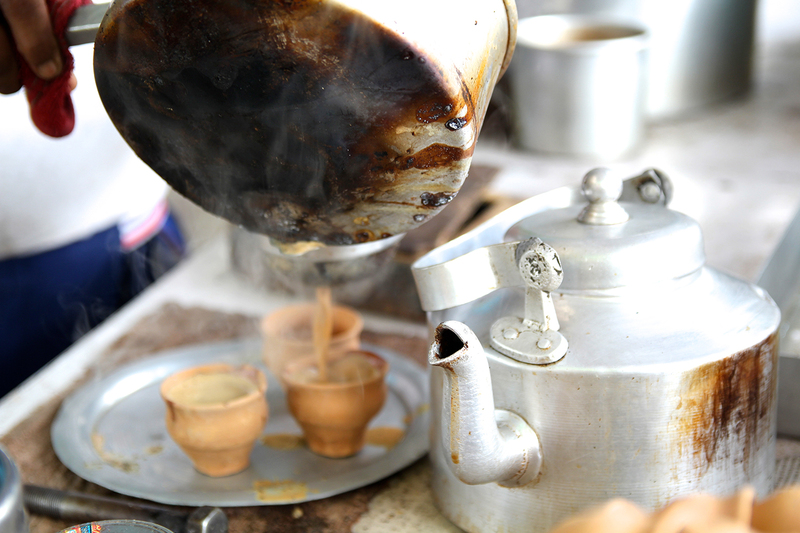 Until their chai brightened our day. Tags: black tea, chai wallahs, Chai Walli, family, Kolkata, kulhar, monsoon. How lucky you are to have forgotten the umbrella!